Seller Comments: Custom designed and built vehicle! 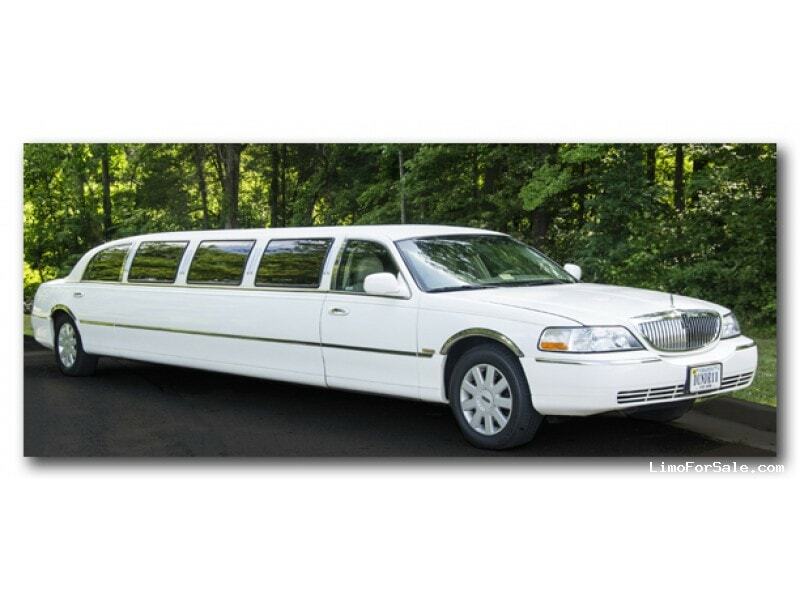 The three window design exterior on our 12 passenger ultra stretch shows this is truly a special vehicle for very special guests. 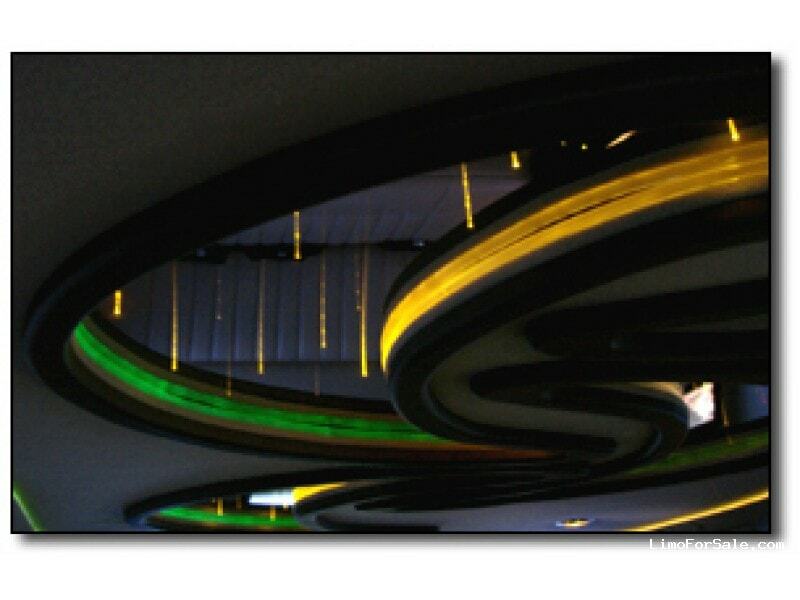 The fiber optics throughout the car definitely give you the WOW factor! 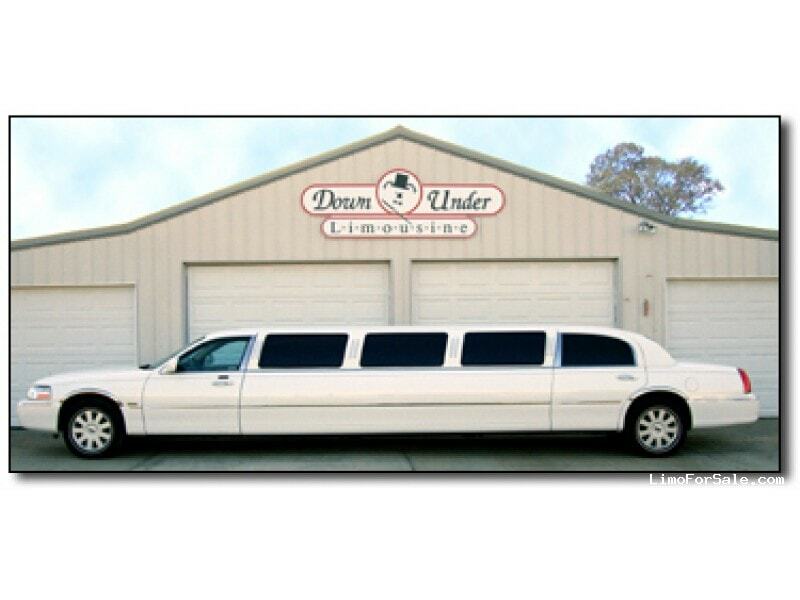 Also, our signature red carpet service is always a special treat as you enter and exit this elegant vehicle. At first look, ceiling looks like boomerangs or quarter moons - but looking further into the ceiling reveals thousands of little shooting stars! 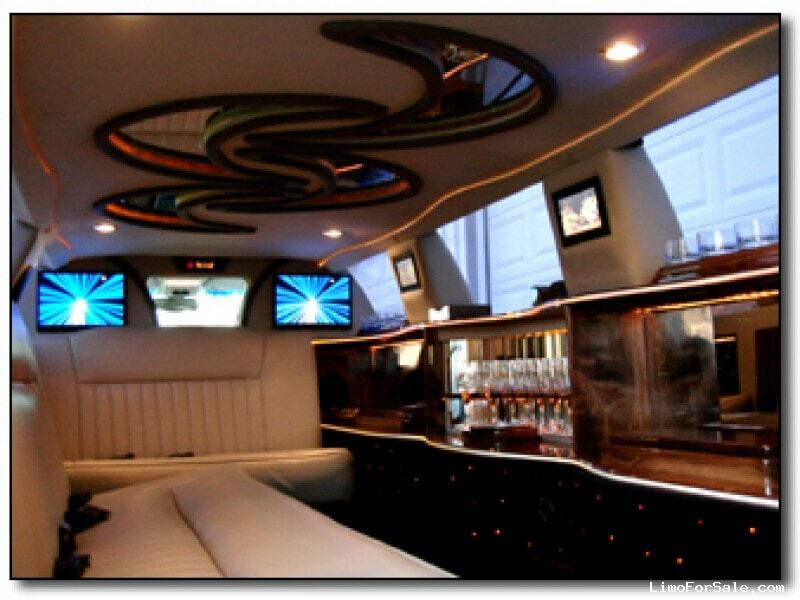 The five flat panel TV's change the mood of the vehicle with virtual fish tanks, a roaring fire place, or the latest "disco" or kaleidoscope special effects lighting. Fully loaded electronics is a key feature of this vehicle, including two radios, and two DVD players. 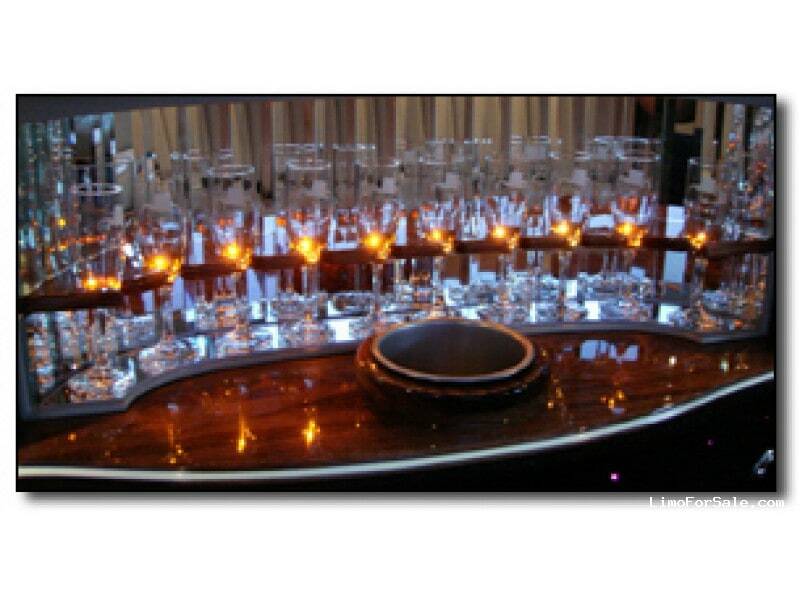 The elegant walnut bar has a Victorian effect with hand cut mirrors behind the champagne flutes. What good are twelve flutes without three champagne buckets for three bottles of the bubbly? The ice chests are a dream with plenty of room for ice and your favorite liquid refreshments. The rock glasses jump out at you with our blue ice LED lights accenting the glasses.